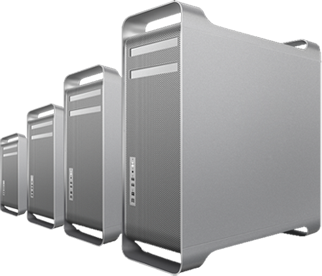 Experience the best in hosting with our 99.9% uptime guarantee and 24/7 support. If your site goes down, you can get credit back. World-Class support around the clock with 24/7 security. Focus on the important things with Free Keep Alive. With DNN4Less, you always have a backup plan. Create as many parent and child portals as you want. When you sign up, if you select the ” will transfer my website to DNN4Less” option, we’ll email you information on how to get a backup from your existing host. Once you get the backup to us, we’ll handle the entire migration process for you. Yes, all our Shared and Reseller plans come with FREE DotNetNuke Installation. DNN4Less offer Unlimited DotNetNuke Parent and Child Portals. You can create as many Parent or Child Portals as you want. Yes, All our Shared hosting plans come with a temporary URL. Yes, we provide 100% Migration Services “Free of Charge”, no matter who your current host is, we can move your website to our Data Center in minutes. Yes, you can backup or schedule back anytime for database and Files through our state of the art Control Panel. You can also ask our support department to provide a complete backup of your site. Yes, you can transfer your domain name to DNN4Less. All New Shared Hosting Plans come with 200MB (Two hundred megabyte) usually this is enough for an average DNN website, however if you wish you may purchase an extra 100MB for $9.99/month. Maximum limit is 1000MB. All our Shared Hosting Plans, come with FREE Keep Alive Service. You can upgrade your Shared Hosting plan at any time; through the Upgrade Center in Control Panel, the effect is immediate and there is no down time.